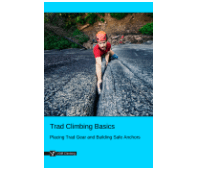 'Essential Knots: The Clovehitch' is part of the e-book - Trad Climbing Basics. 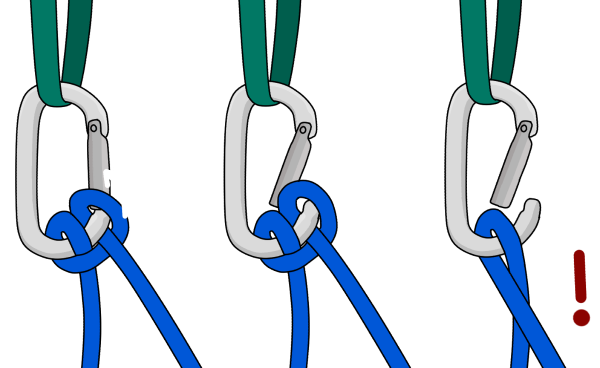 The clovehitch is a useful knot for attaching the middle of the rope to an anchor, among many other things. They can take a significant load without slipping and are super easy to adjust. 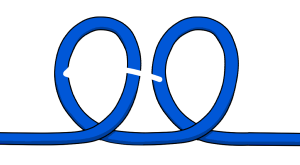 Make two identical loops in the rope. Put the rear loop over the top of the front loop. 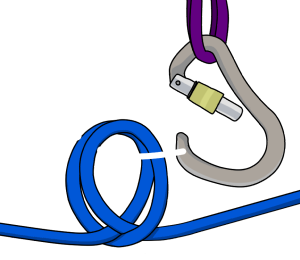 Clip a screwgate carabiner through these two loops. 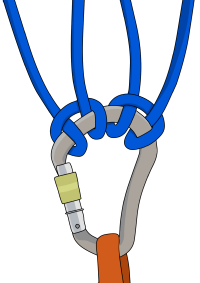 Always use a screwgate - it's possible for one of the loops to be pulled through a snapgate carabiner when it is loaded. The knot will fail if this happens. Pull it tight and fasten the screwgate. If you need to fit two clovehitches on the same carabiner, you can easily fit them both on a wide 'HMS style' screwgate. 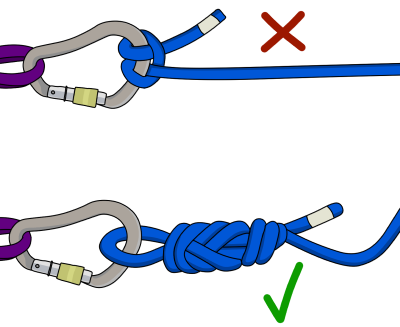 Never use the clovehitch to anchor the end of a rope. If it slips, the tail could pull through the knot, untying it. 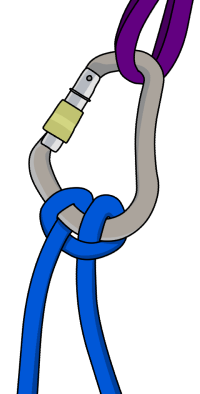 To anchor the end of a rope, use the more secure figure-8 on a bight. Part of the clovehitch could easily snap through the gate, making the knot useless. Never tie clovehitches on snapgate carabiners. Use a screwgate, or two opposite and opposed snapgates instead.